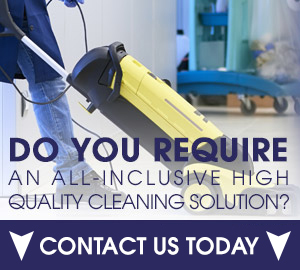 Hiring a commercial cleaning company should be the same as hiring anyone. Just because you might not see the cleaning employees (for example if they work at night when the office is empty) doesn’t mean that they shouldn’t work to your exacting requirements. If you notice that they aren’t doing something that you wanted them to do, you should contact them immediately. The ideal way to work with a cleaning company is to set out a checklist of areas you want them to clean, and items within those areas that require special attention. Once this has been agreed it will be easy to point out anything that doesn’t match up to the promises made. Obviously anything that should be cleaned and is on your list needs to be checked, but there could be other things that show you the cleaning company isn’t doing what they should be. This includes taking shortcuts when it comes to dusting or vacuuming. Shortcuts can include not moving chairs out of the way and vacuuming around them instead of under them. It can even include failing to remove a rug so that the carpet underneath is dirty whereas the rest of the carpet is clean. Make sure all the corners are cleaned and not left dusty. The bathroom is another thing to check properly. Poor quality cleaners are happy to squirt bleach down the toilet and air fresher everywhere else, but that doesn’t mean they have cleaned. The toilet needs to be scrubbed properly, and the mirrors and tiles should also be cleaned. Touch them (if touching the toilet it is best to use gloves). Are they smooth and free from scale and muck? If not more time needs to be spent on them. 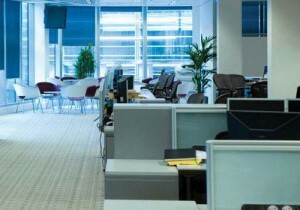 You don’t ever want a colleague, employee or customer to notice that your office is dirty – it leaves a bad impression.